Maud’s introduction to Miami Beach came during the renaissance of the early 90’s as a working contributor to the fashion scene. Growing up in Paris led to an international modeling career and by her late teens she was traveling the globe. When it came time to slow the pace down and plant a few roots, she chose the grace, glamor, and international culture she’d become so fond of. In 2008, a vision was realized with the founding of Concierge Services Miami, a boutique-style enterprise providing its clientele the absolute finest in accommodations, amenities, and services. 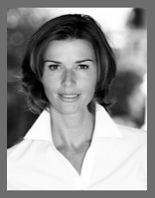 In 2010 Maud became a licensed real estate broker and added property management to CSM’s roster. She became a member of Dora Puig Team in 2012 and is grateful for the invaluable, front-row seat to an exclusive, haute collection of water-front properties and luxury condos.